My goal is to finish my current products so I can make room for some new products, that I want to try out. 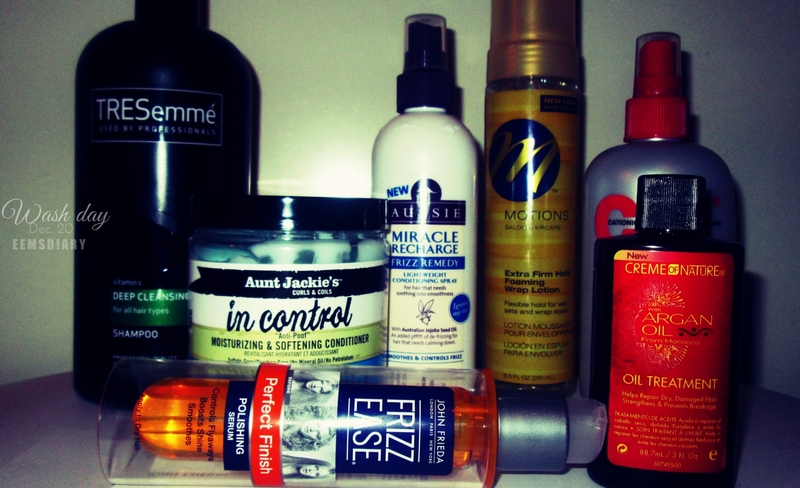 Don’t get me wrong I am in love with some of the products. 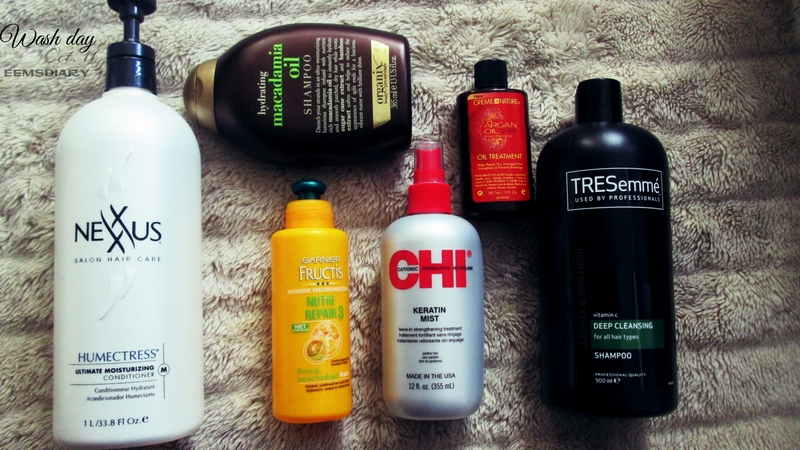 But there are some products that I need to say goodbye to. Saturday!!! It was time to wash my hair. During the week I have moisturized only twice and have been protective styling by braiding my hair. Last week during my wash routine I did the search and destroy method. I really need to concentrate on my ends, because the split ends are driving me crazy. I decided to clarify my hair. I need to do better with clarifying. 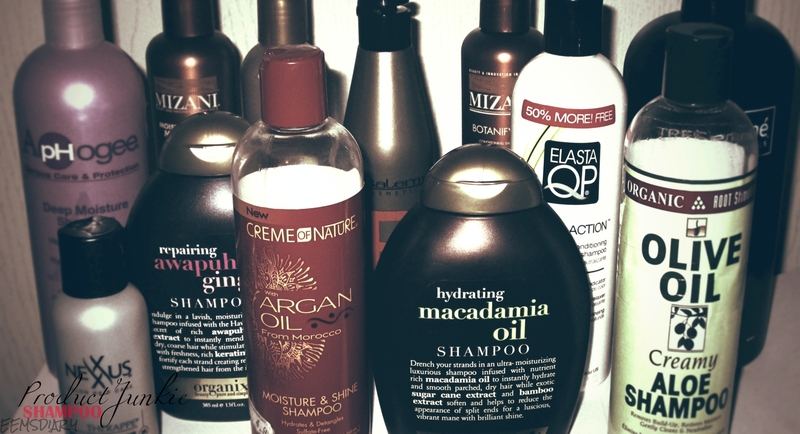 For the wash part I used Tresemme Deep cleansing shampoo and Organix hydrating macadamia oil shampoo. This is my first time using two shampoos in one wash. The reason for using 2 products is because a clarifying shampoo strips down my hair – and yes the Tresemme shampoo really cleaned my hair and scalp – So I decided for the second wash I will use Organix shampoo to bring back the moisture.